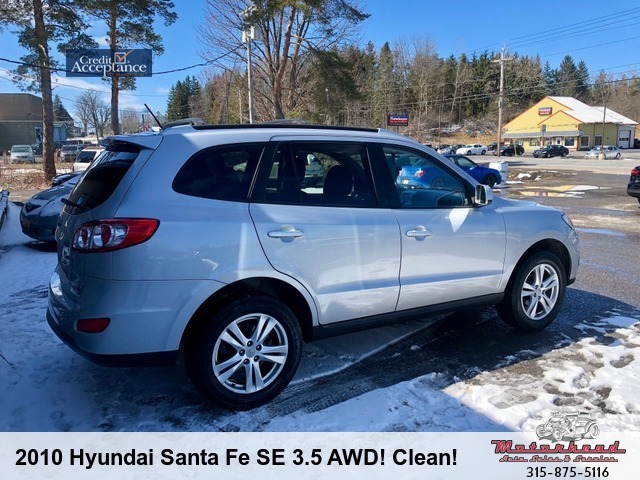 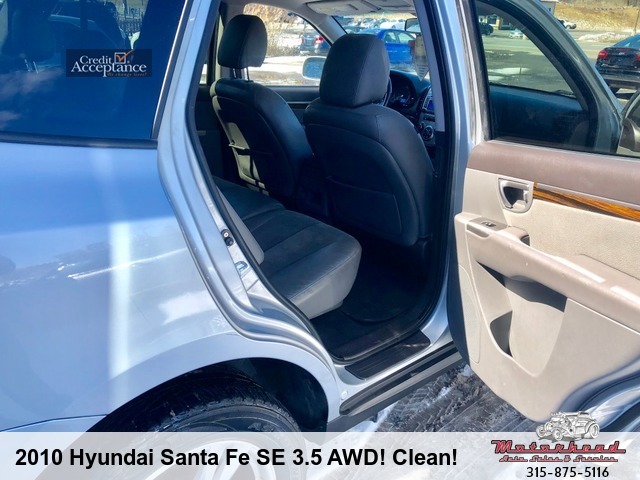 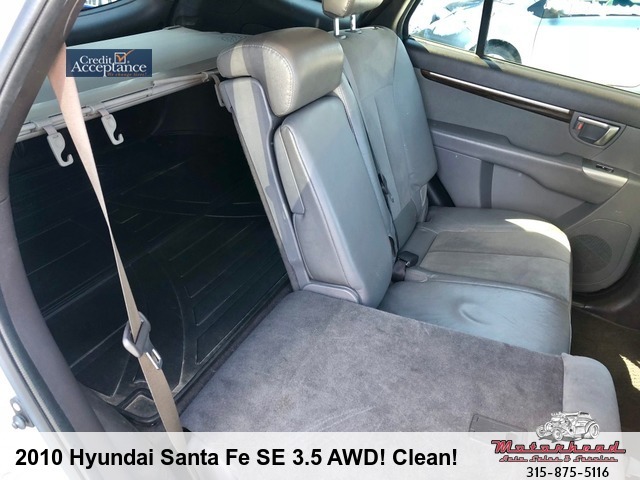 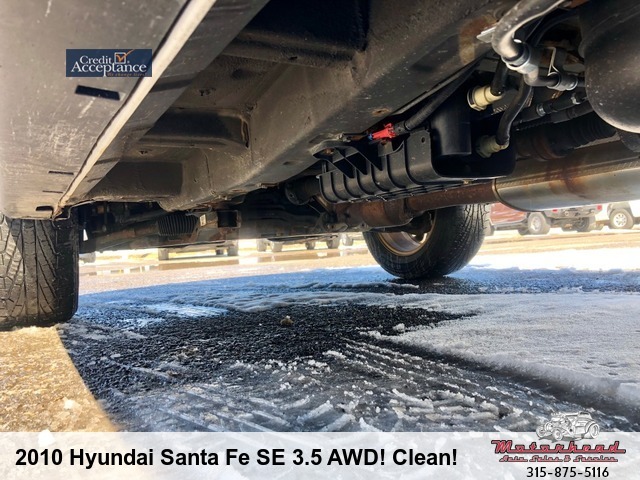 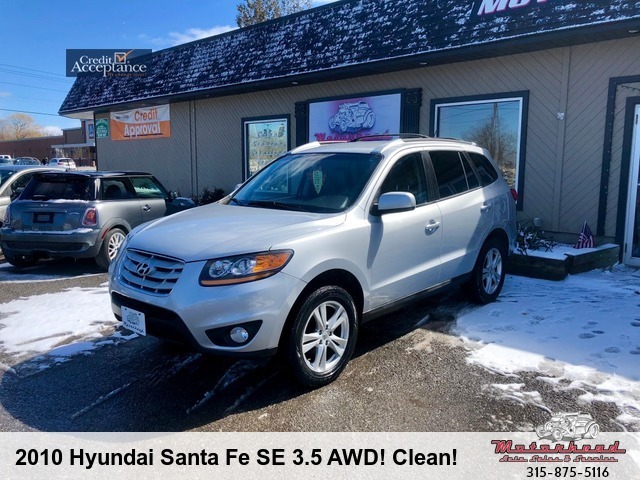 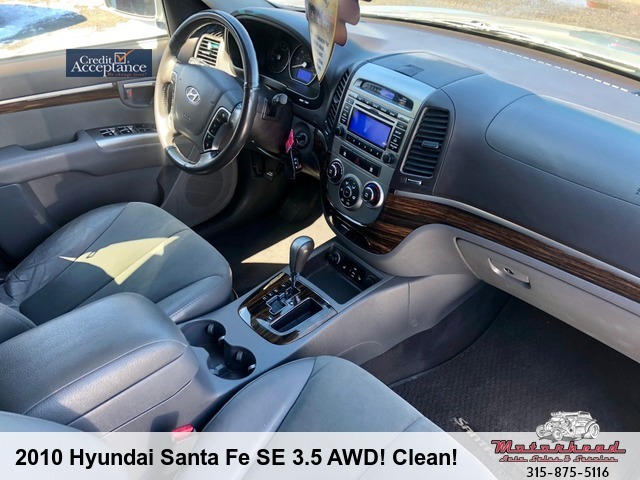 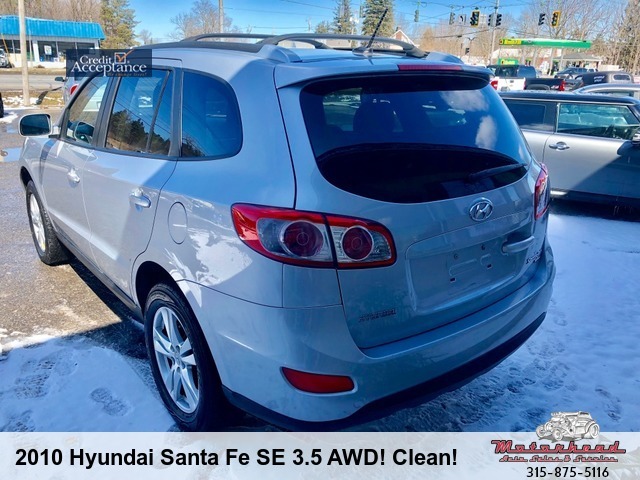 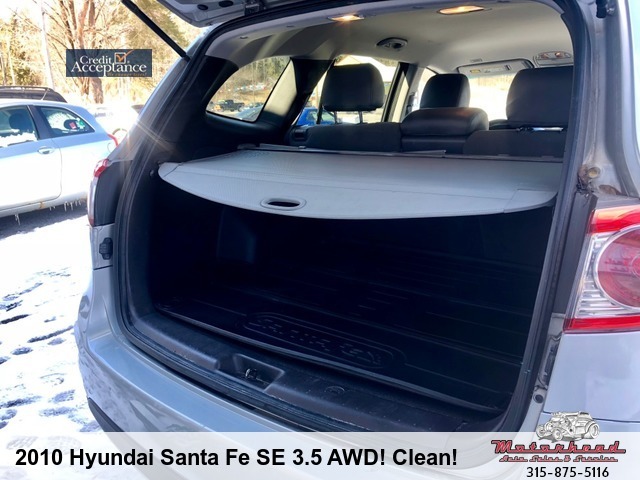 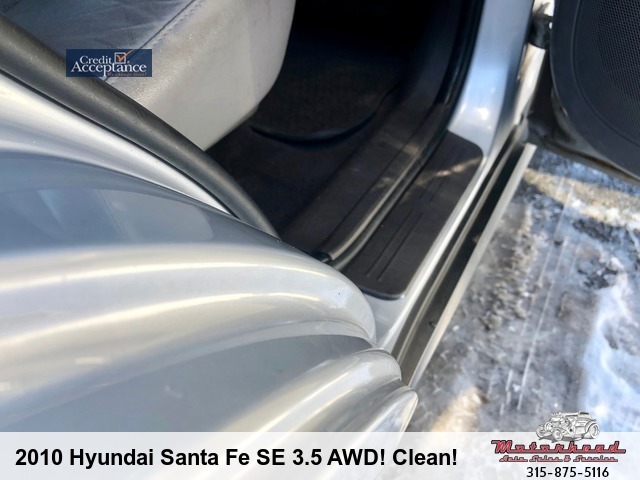 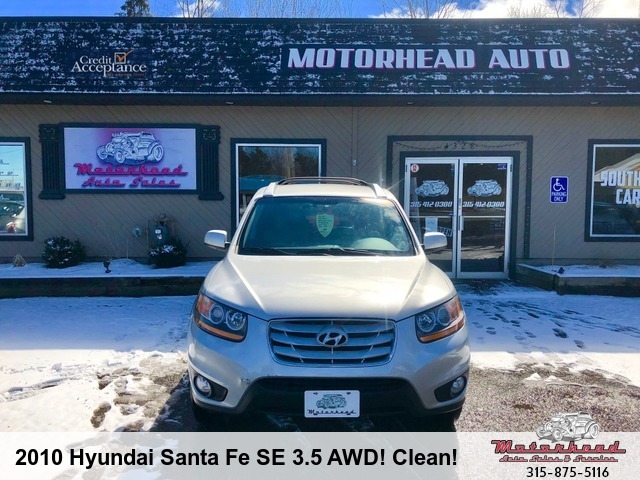 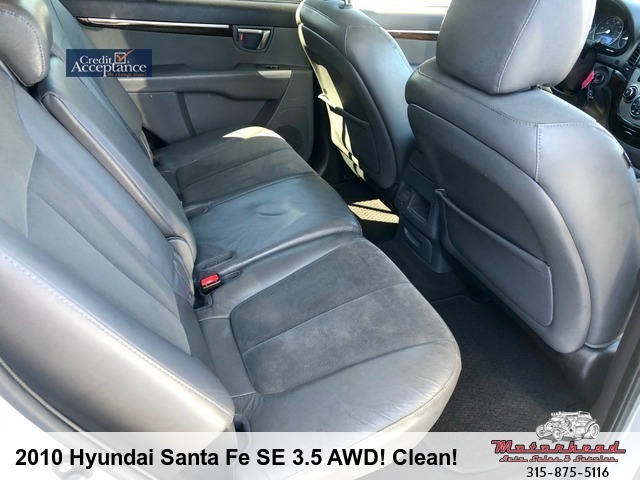 2010 Hyundai Santa Fe AWD SE, 104k miles, 3.5L V6, All Wheel Drive, Premium Package, AM/FM/CD/USB/AUX/SiriusXM/Bluetooth, Heated Seats, Power Seats, Leather/Suede, Power Windows/Locks, Power/Heated Mirrors, Audio and Cruise Controls on Steering Wheel, Foldable Rear Seats, Child Seat Anchors, Front and Rear Head Airbags, Dual Front Side-Mounted Airbags, Fresh Oil and New Tires. 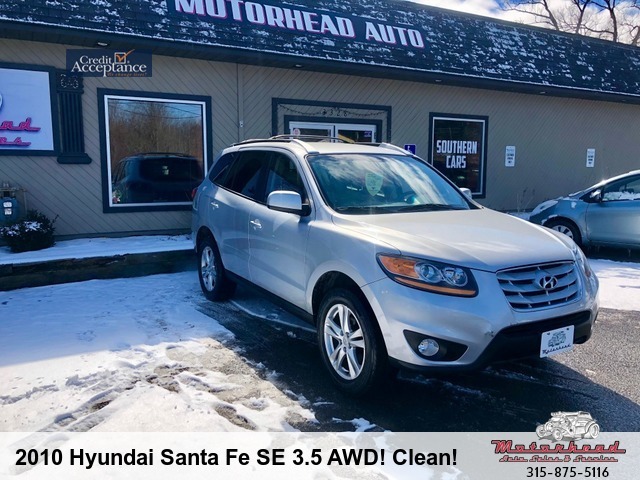 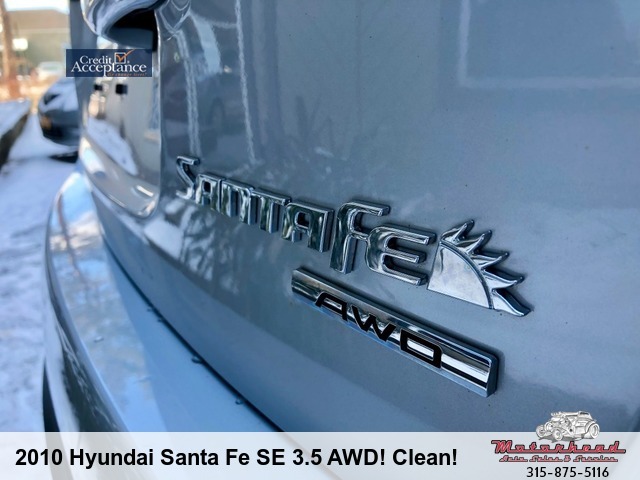 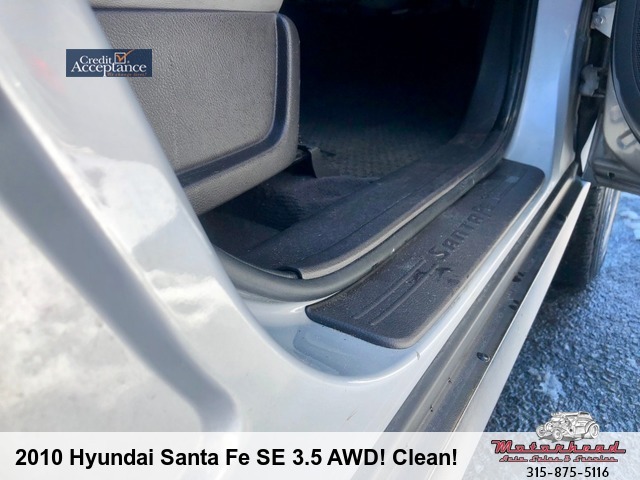 If you have been looking for a super clean and affordable SUV look no further than this 2010 Santa Fe we just got in! 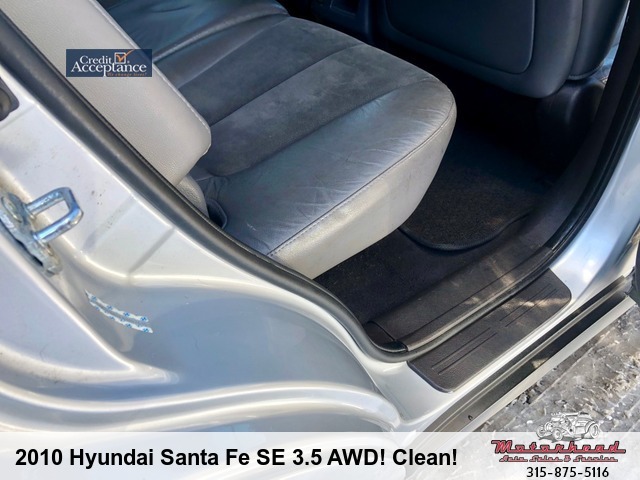 Extremely clean top to bottom inside and out. 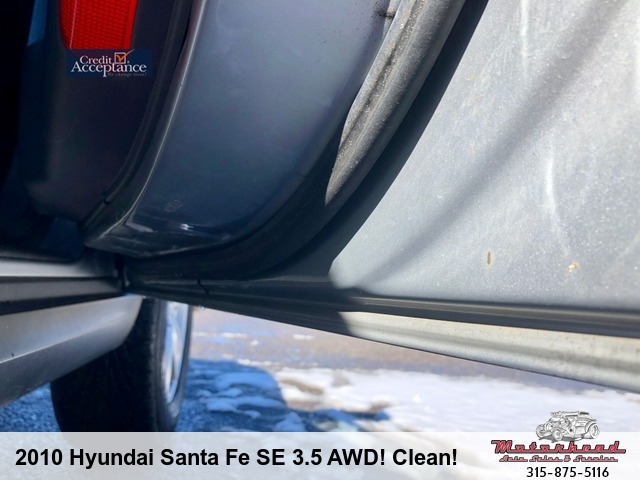 There is absolutely no corrosion on this vehicle and very few if any noticeable blemishes. 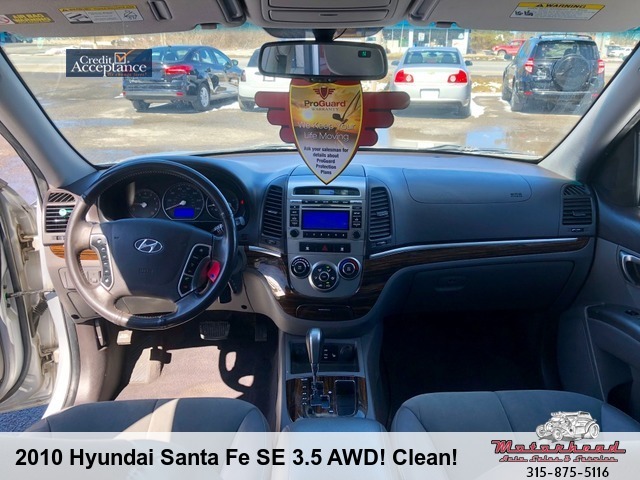 The interior is super roomy and comfy loaded up with tons of new tech that makes you feel wrapped in luxury. 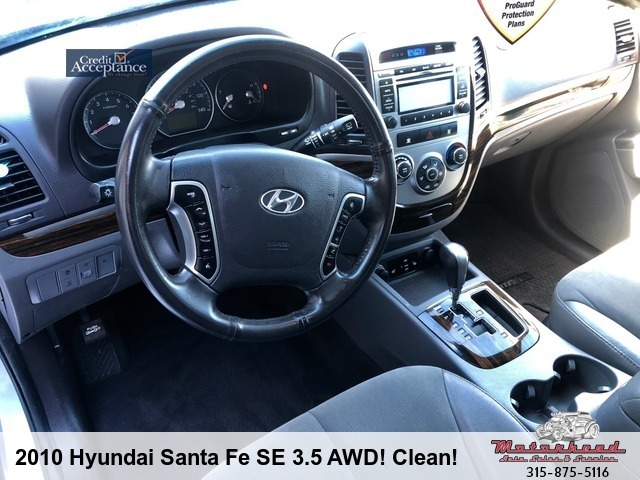 We see these Santa Fe's on the road with 200k + miles so longevity is no issue here. 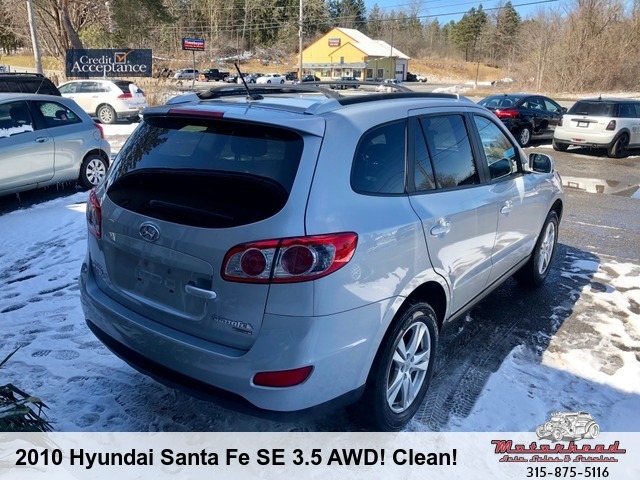 The powerful yet efficient 3.5L V6 has 275HP and gets up to 26 miles per gallon on the highway. 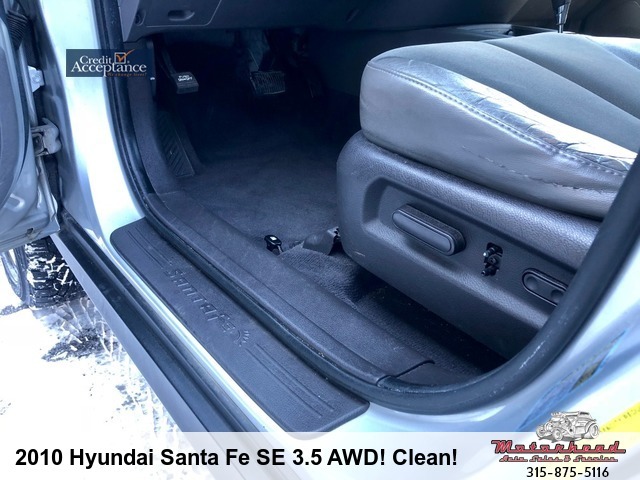 Rear seats fold down for extra space in the rear but you'll rarely need it with its 35 cu/ft of cargo space. 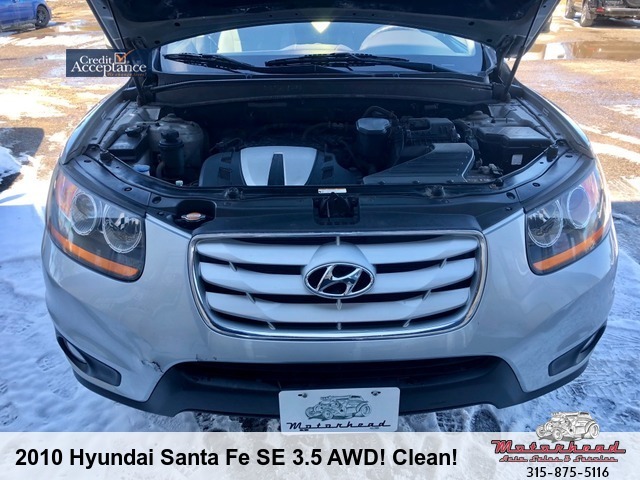 It will receive four new tires, go through a 100 point inspection for worn items and come with a 12 month, 15,000 mile warranty. 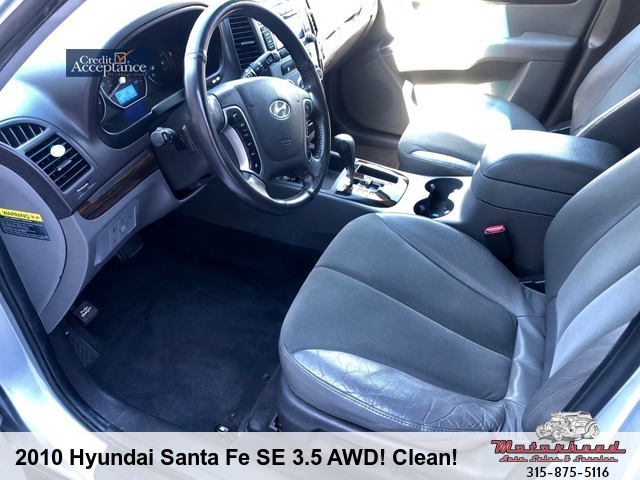 Cash price is $9,250! 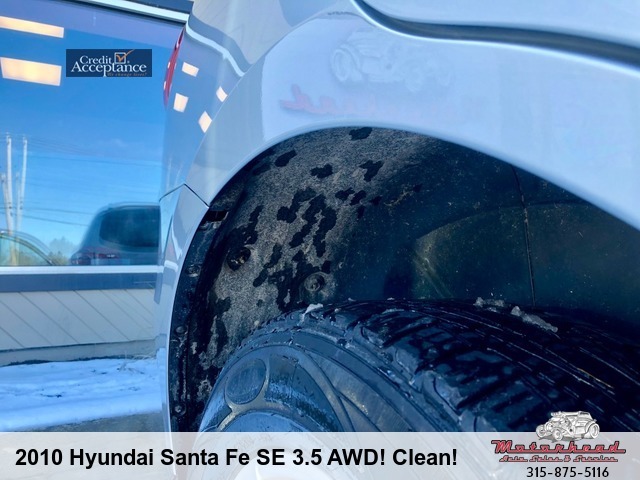 You can't beat that price with a warranty and new tires! 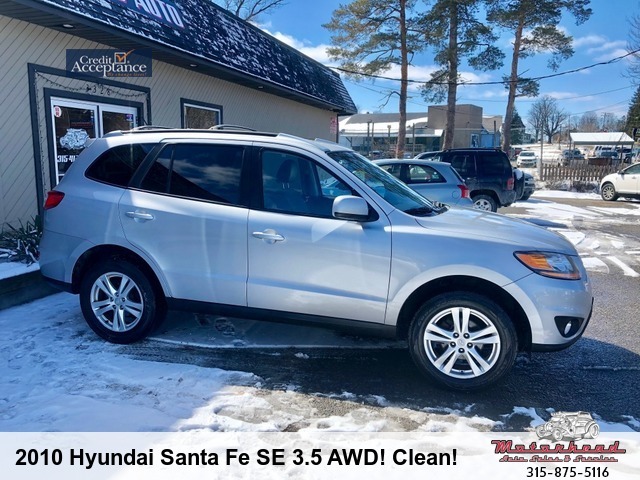 Hurry down before this deal disappears.